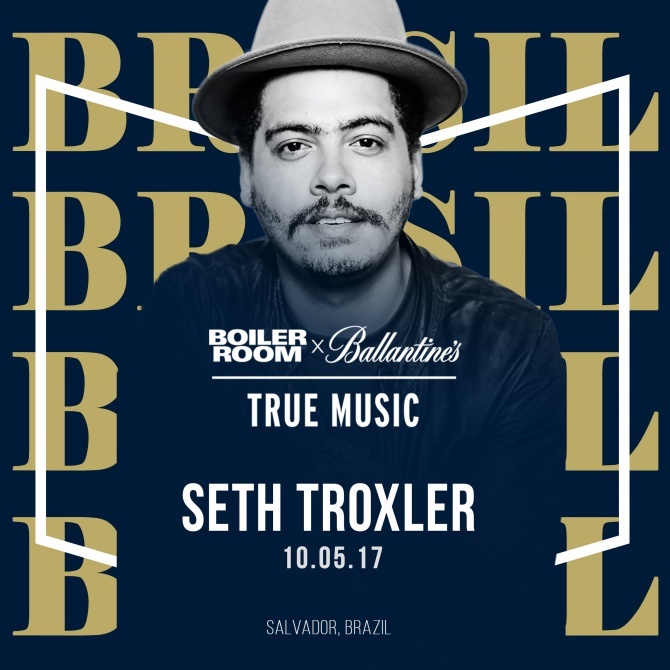 Tonight – Wednesday 10th May – DJ Mag will be streaming Seth Troxler, Louie Vega and more live from the Ballantine’s x Boiler Room True Music event in Salvador, Brazil. The live stream – the first in a series of True Music events with Seth Troxler – kicks off at 1am BST. You’ll be able to watch it live via the DJ Mag Facebook page. NTS Radio’s John Gomez will open the show at 1am, followed by internationally renowned Fatnotronic. MAW legend, Louie Vega plays at 3am, before Seth Troxler takes control at 4am. The final hour belongs to D-Edge resident, Renato Ratier. All listed times are in BST. During the True Music tour – which will also visit St Petersburg, Russia and Warsaw, Poland – Troxler will work with leading local producers to create exclusive tracks for release on the the second ‘True Music EP’. The EP – which will be released on vinyl and digitally – will include original productions in addition to remixes from Seth’s back catalogue. The True Music partnership between Ballantine’s and Boiler Room is aimed at supporting and celebrating artists who do it ‘their way’. The previous headline artist was Maya Jane Coles, whose tour clocked over 10 million views from fans in 150 countries. To check out more head over to truemusic.boilerroom.tv. Watch the live stream tonight from 1am BST on DJ Mag’s Facebook Page.